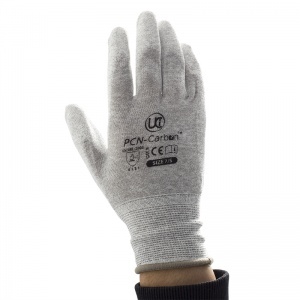 Ideal for a range of handling tasks, the PCN-Carbon Anti-Static Safety Gloves feature anti-static properties and a tough abrasion resistance for improved mechanical protection. 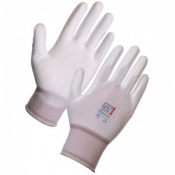 To provide tough abrasion resistance. 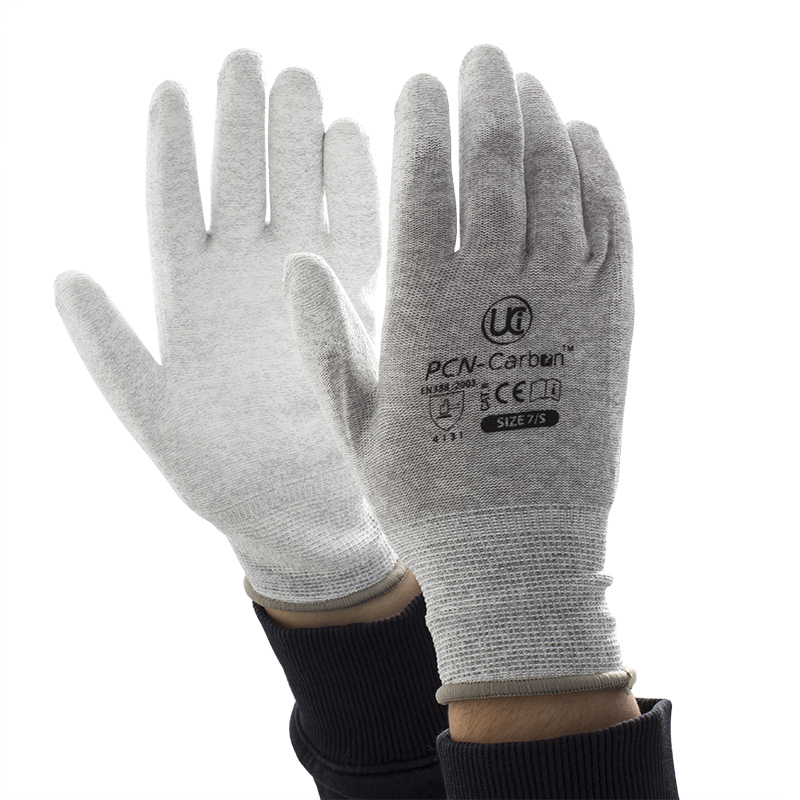 the PCN-Carbon gloves feature a tough polyurethane coating on the front face and fingertips – ideal for handing tasks which require a full grip and feature abrasion risks such as mechanical handling. This coating also provides an exceptionally high level of grip while preserving dexterity for finer and more delicate handling tasks. 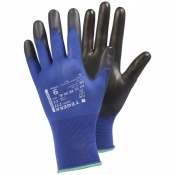 Alongside the tough polyurethane coating, the gloves also feature anti-static properties. 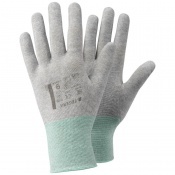 A seamless machine-knitted blend of nylon and carbon filament helps to protect against the build-up of static. 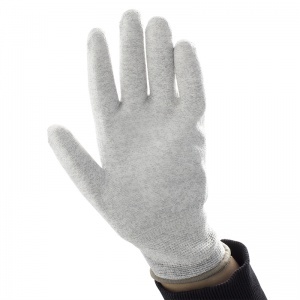 This makes the gloves fantastic for electronics handling where static charges could build up and short out components.